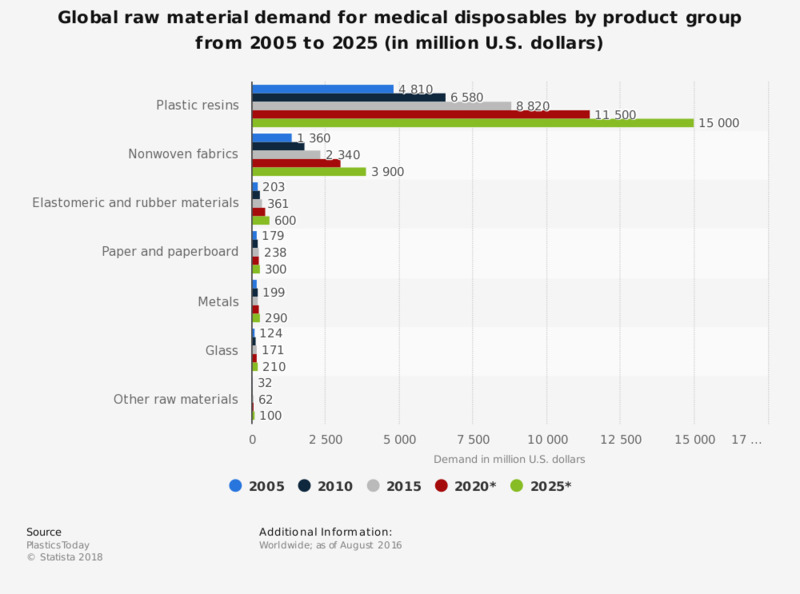 This statistic displays the past, present and future (predicted) market demand value for raw materials used in medical disposables worldwide from 2005 to 2025, by product group. In 2005, paper and paperboard had a demand valued at 179 million U.S. dollars, while nonwoven fabrics, had a demand valued at 1,36 billion dollars. The United States is the largest market for disposable medical products. The raw materials market is forecasted to increase at an annual rate of 5.3 percent until 2020. To what extent do you agree with the following statement: "It is important for me to know where the raw materials of the products I buy come from"?